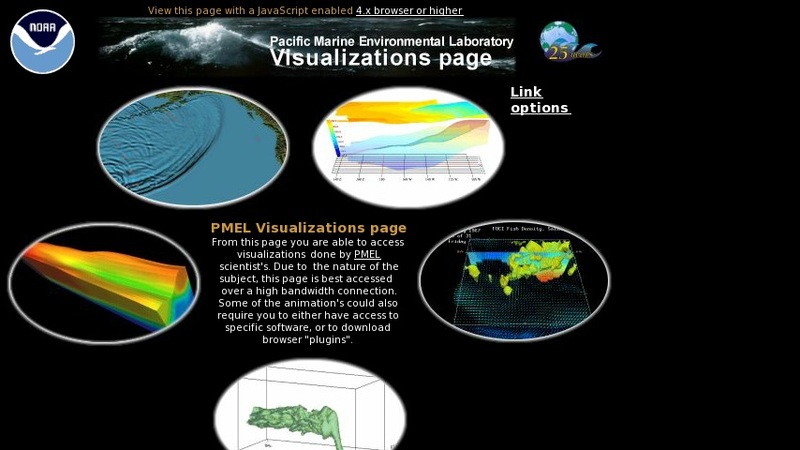 This site features a collection of visualizations done by the Pacific Marine Environmental Laboratory. Visualizations include modeled data of tsunamis, El Nino and La Nina sea temperature, currents, and wave displacement, physical and biological factors that affect Alaskan fisheries, and real animations and virtual dives to underwater volcanoes and seamounts. The site also provides information about some of the datasets, models, and instrumentation used to create the animations and visualizations. Due to the large file size of some of these images, this page is best accessed over a high bandwidth connection.